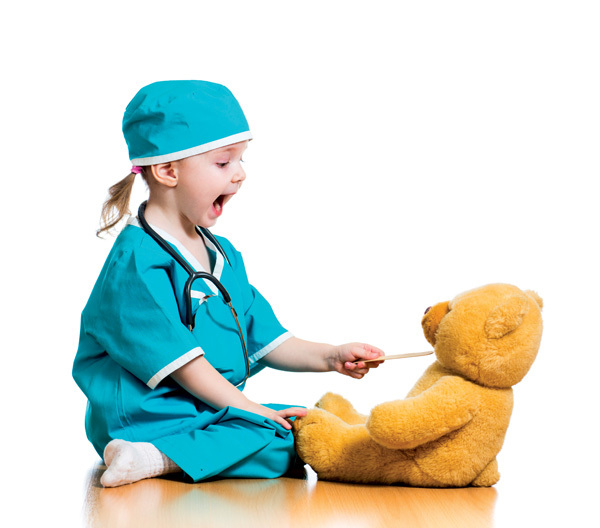 With subtle and misleading symptoms, pediatric migraines are regularly misdiagnosed. I remember my first migraine headache like it happened only yesterday. It was Christmas break of my first-grade year. My grandparents were in town for the holiday. I was curled up on a pallet of blankets on the floor in my parents’ room. The pain was so bad that, as a six-year-old, I had no idea how to process it. Pain radiated through my head, the source of which seemed to be directly behind (or inside of) my left eye. I was dizzy. I was nauseated. Movement, light, sound — they all brought me agony. Normal painkillers did nothing to ease the suffering. Eventually that night I found the only two things that brought relief: stillness and sleep. For a person growing up with migraine headaches, I was actually one of the lucky ones. The adults in my life recognized my symptoms and knew immediately what I was struggling with. My mother and grandmother also had these headaches, and later my brother would be diagnosed and treated for severe migraine as well. Many children are not as fortunate as I was in dealing with my migraine headaches. Evidence shows that up to 10% of children suffer from migraine headaches, and they are gravely underdiagnosed, or misdiagnosed, and therefore left untreated. 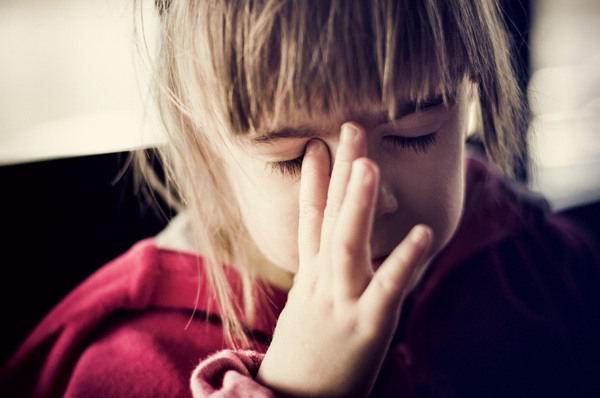 Children can begin having migraine headaches at surprisingly young ages, even as young as two or three years of age. 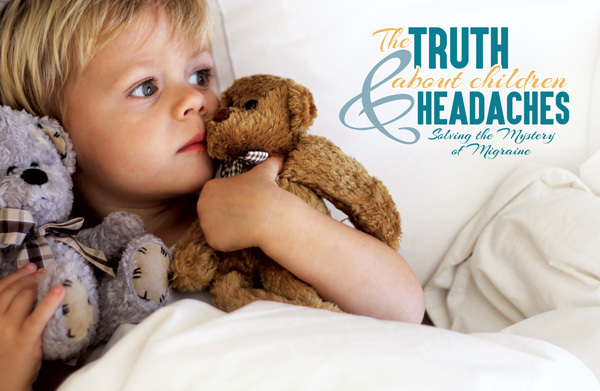 Christina Treppendahl, FNP-BC, Clinical Director of The Headache Center in Ridgeland, MS, says that “only 50% of people who suffer from migraine ever receive the diagnosis and get proper treatment and prevention.” Children are especially susceptible to misdiagnosis and underdiagnosis because pediatric migraine is notoriously difficult to recognize. Because of the subtle (and sometimes misleading) symptoms in pediatric migraine diagnosis, it often requires a physician who specializes in migraine and headache care to properly diagnose and treat children with migraines. The World Health Organization (WHO) ranks migraine headaches as the 7th leading cause of disability worldwide. Between the prevalence of migraine and its dramatic undertreatment, it’s easy to understand how people suffering from this pain can lose hope of ever receiving relief, especially children who typically cannot articulate their symptoms as clearly as adults. For anyone experiencing some of the symptoms of migraine, the first step is to find a headache specialist and make an appointment. Diagnosing migraine requires several stages, since there is not something as simple as a single lab test to properly diagnose this chronic condition. Your specialist will note symptoms, frequency, and duration of symptoms, ruling out other potential causes. Assessment may also involve radiological scans (CAT, MRI, and others as deemed necessary) and blood work as part of the diagnostic process. Since migraine is a chronic condition, the entire treatment approach cannot be as simple as taking a pill. A specialist and staff also have many different places where they can offer help to you and your child, including navigating migraine triggers, managing sleep issues, recognizing environmental factors that may be leading to migraines, mastering coping skills, and properly managing medicines. Jump ahead about 20+ years from our opening story, and you will find me with children of my own, three of whom suffer from debilitating migraine headaches. Fortunately, because of my history, my children did not end up in that 50% of people whose migraines go undiagnosed and untreated. I recognized the symptoms, and my children are receiving the treatment that they need to help them deal with their diagnosis. I was very fortunate that I could receive knowledge and treatment for my migraines, and that my children have had that same opportunity. If you have a child or children with recurrent headaches, vertigo, unexplained abdominal pain, nausea and/ or vomiting, or if they avoid light, activity, or noise, please take them to a headache specialist for examination. It might turn out to not be migraine, but anyone who is in constant pain should be seen by a physician and helped. And if it turns out that your beloved little one does suffer from migraine headaches, you can seek specialized treatment and start them on the path to feeling better.